This article was first published at YahooSports.com on March 16, 2018, and can be seen here. The University of Maryland, Baltimore County pulled off NCAA tournament history on Friday night in its 74-54 win against Virginia, becoming the first 16 seed to knock off a No. 1 seed in the history of the tournament. Social media, naturally, was going nuts. While timelines were filled with shocked fans from all over the world, GIFs of golden retrievers and plenty more, there was one Twitter account that shined far above the rest. 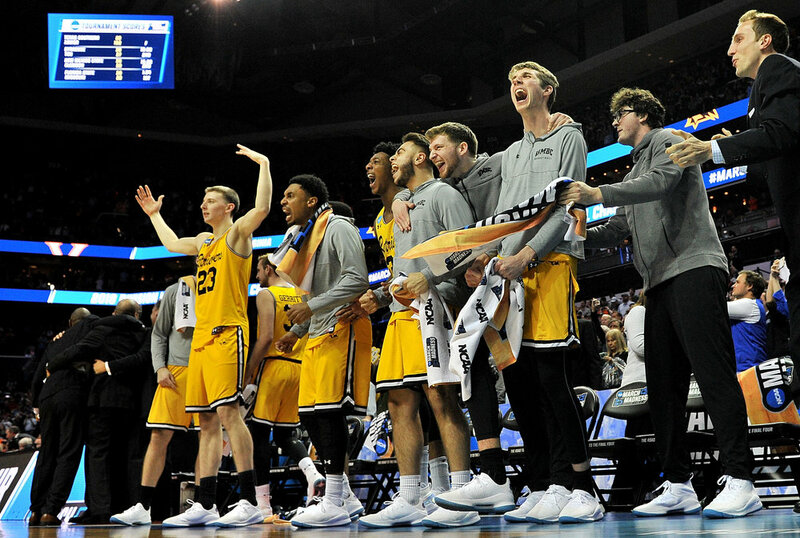 @UMBCAthletics, the official Twitter account of the UMBC athletic department, had just a few thousand followers before Friday’s game. By the time the Retrievers had knocked off Virginia, it had more than 27,000 followers. It’s easy to see why. The athletic department did such a good job running its Twitter account, it not only was trending throughout the Untied States, but their website crashed from too much activity. It all started at the beginning of the game. The Athletic’s Seth Davis declared Virginia the winner just minutes into the contest with one of his classic “Sharpie” tweets. It sure did keep him updated, too, quote-tweeting his original tweet nearly every time there was a new score. And of course reminded everyone at halftime. The UMBC bookstore got in on the action at this point, letting the athletic department and Davis know that they sell Wite-out that Davis can use to cover up his Sharpie. Many users were shocked that Virginia could be losing to a team most of the country had never seen play before and didn’t respect. So @UMBCAthletics clapped back. Some were entrenched in other games, too, because they didn’t think watching UMBC was worth their time. #Preds and #Avs on one TV. Virginia and whoever UMBC is on the other. Solid sporting night. It also — in a genius move — decided to alert the country where UMBC is actually located. One user decided it didn’t have enough followers to be respected as “Retriever Nation,” and called the account out on it. @UMBCAthletics called the user out on it with a dictionary reference. Midway through the second half, after UMBC had built up a double-digit lead, people were still confused as to who the Retrievers were. UMBC is beating virginia by14. UMBC looks fantastic! btw, anyone know what UMBC is? @UMBCAthletics took care of that. Someone thought that UMBC sounded like a correctional institution. So the account handler hit him where it hurts: his facial hair. Sure, at times the Twitter account wasn’t completely focused on the game, as better and more important issues came along. But the account was there when it mattered, right alongside the team as it accomplished NCAA tournament history and earning respect for a program most of the college basketball world had never heard of. One thing is for sure: Whoever is in charge of social media for the UMBC athletic department deserves a raise and a promotion. Oh, and there were no cookies left in the media dining area.